<br/>iOS 12 brings performance improvements across the system and to more devices than any previous version, supporting back to iPhone 5s introduced in 2013. Camera launches up to 70 percent faster, the keyboard appears up to 50 percent faster and typing is more responsive. When there is a lot going on across the system, apps can launch up to twice as fast. 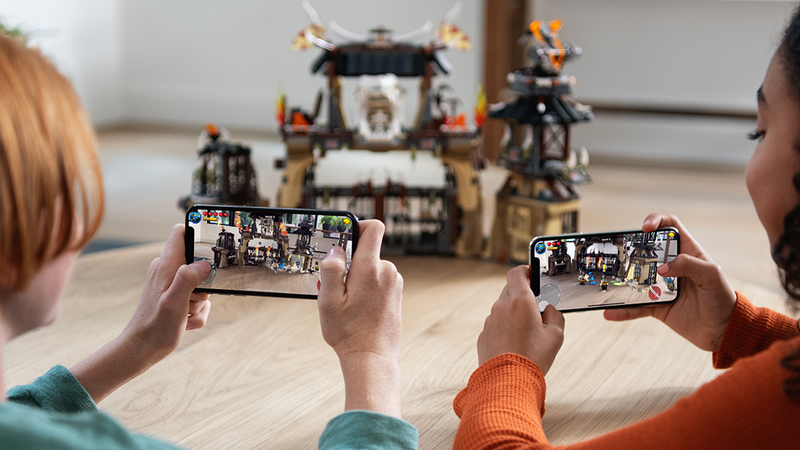 <br/>iOS is the world’s largest AR platform and with iOS 12, Apple continues its rapid pace of delivering major advancements with new shared AR experiences, persistent AR and more dynamic object detection and image tracking. With shared AR experiences, multiple people can play the same game or collaborate on projects like home renovations or schoolwork. Persistent AR changes the way people interact with AR apps by creating opportunities to leave virtual objects in the real world to which users can return. AR in iOS 12 is an even more realistic mix of the virtual and real world with support for image detection and tracking, making it possible to detect 3D objects and automatically apply reflections. AR files can now be viewed nearly anywhere in iOS, including apps like Messages, Safari, Mail, Files and News. <br/>Memoji and Fun Camera Effects<br/>New features make communicating with friends and family from iPhone X, iPhone X<span class="all-small-caps">R</span>, iPhone X<span class="all-small-caps">S</span> and iPhone X<span class="all-small-caps">S</span> Max, more expressive with new Animoji and personalized Memoji characters that are customizable and fun. People can create Memoji right within Messages by choosing from a set of inclusive and diverse characteristics to form a unique personality. The existing set of Animoji also expands with ghost, koala, tiger and T. rex. <br/>New camera effects bring Animoji, Filters, Text and Stickers to Messages and FaceTime. Filters like comic book and watercolor add personality to photos and videos, new labels and shapes let people add captions and titles to highlight parts of an image, and stickers can be placed using iMessage sticker packs. <br/>An all-new For You tab surfaces favorite moments in one place, combining Memories and iCloud Shared Albums, and introduces sharing suggestions to makes it easier to share photos with friends. Friends who receive photos are prompted to share back any photos and videos they have from the same trip or event. Search suggestions in Photos surface the most relevant Events, People, Places, Groups, Categories and recent searches, and new search functionality lets users combine multiple search terms to find just the right photos. <br/>New tools built into iOS 12 help customers understand and take control of the time they spend interacting with their iOS devices. Screen Time provides users with detailed information and tools to help them manage the time they spend with apps and websites, and better understand and control where their child spends time. Daily and weekly Activity Reports show the total time spent in individual apps, usage across categories of apps, how many notifications are received and how often iPhone or iPad are picked up. App Limits allow people to set a specific amount of time to be in an app, and a notification will display when a time limit is about to expire. Screen Time also gives parents access to their child’s Activity Report right from their own iOS devices using Family Sharing in iCloud, and allows them to schedule times to limit when a child’s iOS device can be used, such as during bedtime. <br/>New modes in Do Not Disturb automatically end based on a specified time, location or action, and Do Not Disturb during Bedtime helps people get a better night’s sleep by dimming the display and hiding all notifications on the lock screen until prompted in the morning. <br/>To help reduce interruptions, iOS 12 gives users more options for controlling how notifications are delivered. They can instantly manage notifications to be delivered quietly or turned off completely. Grouped notifications make it easier to view and manage multiple notifications at once. <br/>Siri takes a major step forward with the introduction of Siri Shortcuts, allowing any app to now work with Siri. With powerful on-device intelligence, Siri learns user routines and provides suggestions at just the right time. Users can also use their voice to run any Shortcut, making it even easier to use their favorite apps. The new Shortcuts app goes even further, allowing users to create custom Shortcuts to streamline frequent tasks. Popular apps like Instacart, Kayak, Hotels.com, Tile and Lose it! support Siri Shortcuts and are available in the App Store starting today. <br/>Every Apple product is designed to protect user privacy, and new features in iOS 12 enhance the privacy and security of our customers. In Safari, enhanced Intelligent Tracking Prevention helps block social media “Like” or “Share” buttons and comment widgets from tracking users without permission. Safari now also presents simplified system information when users browse the web, making it more difficult for them to be tracked based on their system configuration. Safari now also automatically creates, autofills and stores strong passwords when users create new online accounts and flags reused passwords so users can change them. <br/>iOS 12 is available today as a free software update for iPhone 5s and later, all iPad Air and iPad Pro models, iPad 5th generation, iPad 6th generation, iPad mini 2 and later and iPod touch 6th generation. For more information, visit <a href="https://www.apple.com/ios/ios-12/" target="_blank">apple.com/ios/ios-12</a>. Features are subject to change. Some features may not be available in all regions or all languages.